One of the biggest questions that parents with college-bound children puzzle with is if their child has a chance for financial aid. This is more confusing than you might think because at some schools a family could qualify for need-based aid if they make $200,000 a year and at another school, the ceiling for aid could be $70,000 or much lower. The first step that you should take when grappling with this issue is to obtain your Expected Family Contribution. You should do this before seriously exploring your teenager’s college options. An Expected Family Contribution is a dollar figure that represents what financial aid formulas believe a family should be able to pay for one year of a child’s college education. The EFC for the average American household with an AGI of $50,000 will usually range from $3,000 to $4,000. There is no cap on EFCs so some very wealthy families will have EFCs that exceed the cost of an expensive private university. It’s best to get a ballpark idea of what a family’s EFC will be as early as a child’s freshman year in high school. Obtaining a preliminary EFC will give parents a rough idea of the minimum amount that they would be expected to pay for college. 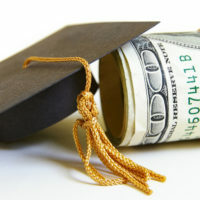 Families with household incomes of $60,000 to $80,000 and above typically find that they do not qualify for need-based aid at state universities, but they may qualify for need-based aid at private schools. Determining if a student would be eligible for need-based aid requires subtracting the EFC from a school’s cost of attendance. 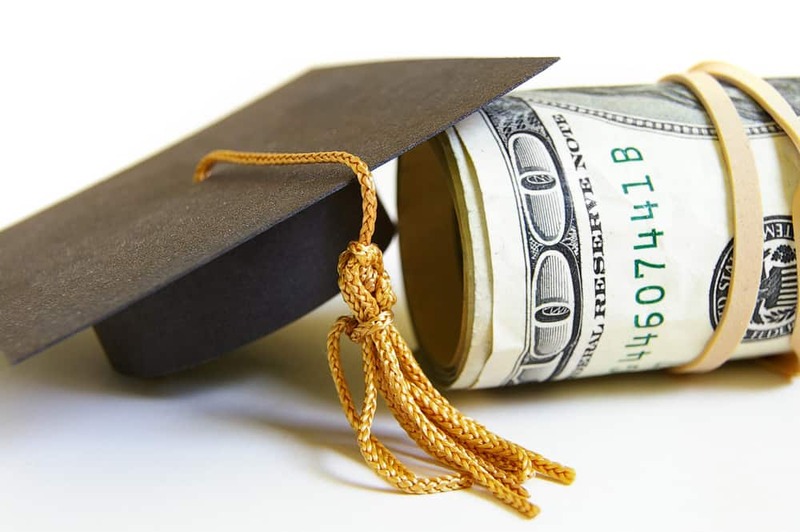 Families, who discover that they have a high EFC and aren’t eligible for need-based financial aid, should look for schools that provide merit scholarships that are given regardless of need. Most schools fall into this category. If an EFC is modest, families should search for schools that provide excellent need-based assistance. Far fewer schools fit into this category. Families will usually have to pay more for college than their EFC indicates they can afford because most schools do not meet 100% of a student’s demonstrated financial need. Consequently, it’s important to identify the most generous colleges that would consider a child an attractive candidate. You will need to use figures from your income tax return and your latest non-retirement investment account statements including checking and savings accounts and any accounts and income that your child has. With this calculator, parents will want to obtain their EFC using the federal and institutional formulas. 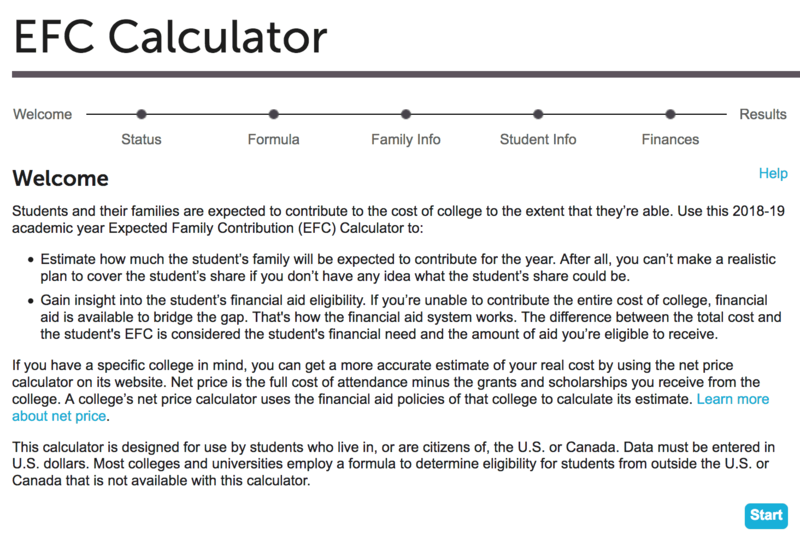 The calculator will produce one EFC using the federal methodology that is linked to the Free Application for Federal Student Aid. The calculator will also produce an EFC using the institutional methodology, which is linked to the CSS Profile. The vast majority of private and public colleges and universities only use the FAFSA while roughly 200 private, selective schools also use the Profile. After completing the FAFSA, a student will receive his/her official federal EFC via an electronic document called the Student Aid Report. 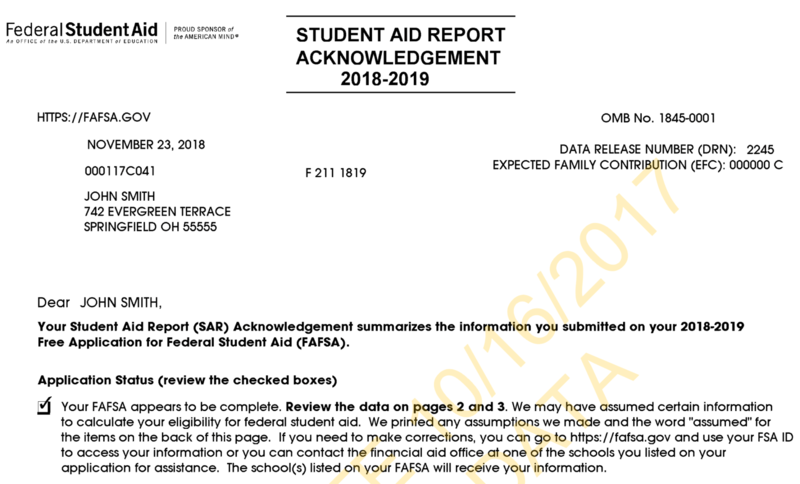 The SAR will include the family’s EFC near the top of the report and also provide all the information that the family included on the FAFSA. Parents should check for accuracy. Strangely enough, the SAR does not put a dollar sign in front of a family’s EFC figure. In the example below, the family’s EFC is $0, but what you see is a string of zeros. Here is a link to a sample SAR. CSS Profile filers will not receive an EFC from the College Board, which owns and operates this financial aid application. Institutions that use the Profile customize their aid applications by choosing from hundreds of different questions so you will end up with a different EFC for each school. Parents should ask each Profile school for their EFC if the institutions do not include this important dollar figure on their children’s financial aid awards. Unfortunately, many schools don’t include a family’s EFC on their financial aid awards. Some institutions suggest that including the EFC on their aid letters will confuse families. More likely, schools don’t want to share EFC figures with families because they can then determine if the package is stingy. Once a family has their EFC and the financial aid package, compare the EFC with what a school is offering. Let’s say that the cost of a school after deducting institutional grants is $39,000 and the EFC is $28,000. That means there is an $11,000 gap between what the EFC suggests that a family can pay and what the school wants to charge your client. Based on this knowledge, a family can appeal the award. Plug new numbers into the EFC calculator if a family’s financial situation changes due to such things as a divorce, separation, death, disability, job loss or the care of an elderly parent. If you’d like to dive much deeper into how to cut the cost of college, enroll today in my popular online course – The College Cost Lab.